Rep. Maxine Waters warned supporters on Wednesday of potential "armed protests" against her after an extremist group called for ongoing demonstrations outside her office in Los Angeles. In a lengthy statement issued late Wednesday, Waters, D-Calif., said she’d been notified about forthcoming protests by the Oath Keepers, which she described as "an anti-government militia" that's staged armed protests in cities across the country. She warned her supporters against being "baited" into counter-demonstrations or confrontations with the organization, which she said has a track record of "violent and provocative behavior." Rep. Maxine Waters speaks at a press conference on Capitol Hill, Jan. 31, 2017 in Washington, D.C.
"I am requesting those individuals and groups planning a counter-protest to not be baited into confronting the Oath Keepers with any demonstrations in opposition," Waters said. "Such an occurrence would only exacerbate tensions and increase the potential for conflict." She urged supporters to avoid protesting on the same date and time as protests planned by the Oath Keepers. "The Oath Keepers would like nothing more than to inflame racial tensions and create an explosive conflict in our community," Waters said. "The group is known to protest in military-style clothing while carrying various assault weapons." The Oath Keepers bills itself as a non-partisan association of current and former military officers, cops and first responders. The group issued a "call to action" against Waters on Tuesday, telling members to prepare for as many as several weeks of protests in the Los Angeles area. Honoree Congresswoman Maxine Waters speaks onstage during Black Girls Rock! 2017 at NJPAC Aug. 5, 2017, in Newark, N.J.
"This is the launch of an ongoing protest that may go on for several weeks. Other patriotic groups are welcome to join us," the group's statement said. "This is both a protest against Maxine Waters’ incitement of terrorism, and a stand for ICE and the Border Patrol, as they enforce the perfectly constitutional immigration and naturalization laws of this nation." 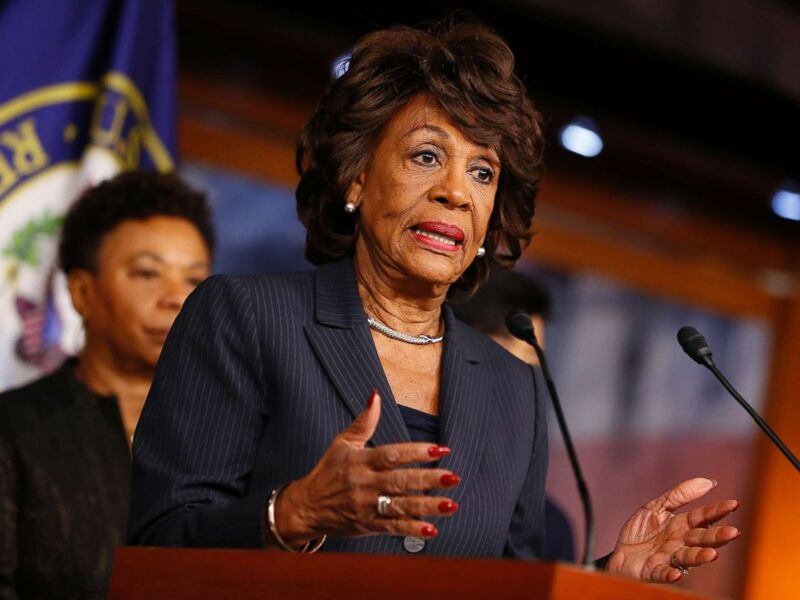 The group said it was upset with Waters over recent comments she made about President Donald Trump and his administration that it claimed incited "far-left terrorist violence and threats of violence." 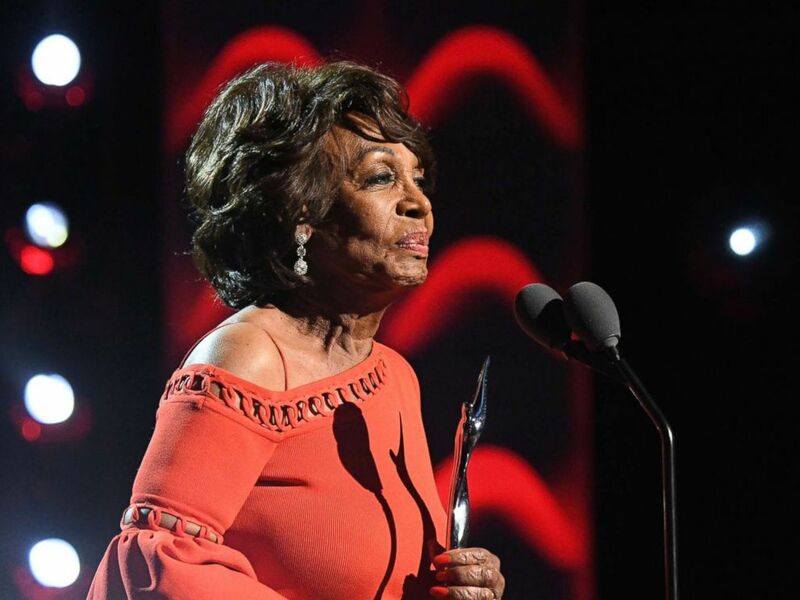 Waters, 79, ignited controversy last month when she called on her supporters to publicly confront and harass members of the Trump administration in response to the zero-tolerance immigration policy that led to the separation of families at the border. The longtime Congresswoman attempted to clarify her comments a few days later after Trump claimed she had "called for harm" to his supporters. "I believe in peaceful, very peaceful protests," Waters told reporters in June. "I have not called for the harm of anybody. This president has lied again when he's saying that I've called for harm." She noted in her statement on Wednesday that Los Angeles Police Department officers and personnel would be on site Thursday "to ensure safety and security." "My primary concern is to maintain the safety and security of the protesters, staff, and constituents of California’s 43rd Congressional District -- a task that would be exceedingly complicated by large crowds of protesters and counter-protesters," she said.